Can Drinking More Water Benefit Your Smile? Staying properly hydrated can be important for your health, and it can make it easier to keep up with athletic activity. 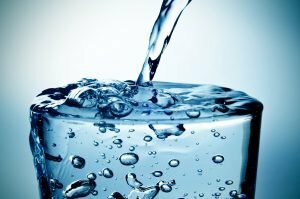 While you should certainly think of water as something that is good for your body, you should also consider its value for your smile. Drinking more water to improve your hydration levels, and as a substitute for other beverages, can help you prevent tooth decay. It can even help you avoid teeth stains that impact how you look. When you consume more water, maintain good brushing and flossing habits, and keep up with regular dental exams, you can keep your smile in good health. You should also remember that your McKinney, TX dentist can offer guidance on good oral care during those routine visits. Dehydration can limit your saliva production. This can cause you to experience dry mouth, which can make you uncomfortable. You should be aware that reduced saliva production can also make you more susceptible to problems with tooth decay. Saliva provides important support for your smile. Producing saliva will help you clear away food debris from your teeth while you eat, and this substance can actually neutralize some oral bacteria. Saliva also helps deliver beneficial nutrients to your enamel. Soft drinks can be particularly threatening to your smile because they can cause oral health problems, and cosmetic dental problems. Many beverages combine several troubling features. They can be dark, which means they can lead to teeth stains. They can be high in sugar, which increases your cavity risk. They are also more acidic, which can wear down your enamel and make it harder for you to protect yourself against problems. Replacing soft drinks with water during meals cuts down on your risks for smile trouble, while also helping you cut calories and stay better hydrated. If you feel frustrated by your inability to stop cavities from forming, you should start to look for areas of improvement when it comes to preventive smile care. Changing your diet can have a positive effect, as you can reduce the number of sugary, acidic products you take in. You can also re-evaluate your approach to brushing and flossing. Doing a better job of cleaning your teeth can help you fight decay, and gum disease, while also improving your defense of hard to reach areas. Illume Dental is ready to help you take on frustrating smile problems! We offer important support during preventive exams, as well as treatment for oral health issues. To schedule your visit with Dr. Chen, call Illume Dental in McKinney, TX, today at (469) 301-1255.